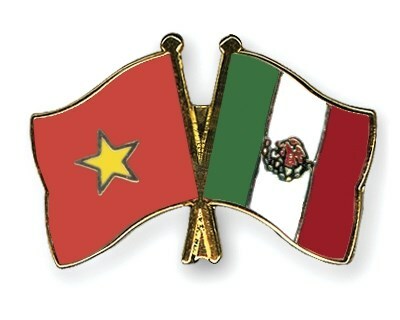 Vietnam, Mexico seek stronger parliamentary coopertion. Hanoi (VNA) – Vietnam and Mexico need to promote cooperation between their Parliamentary Friendship Groups, National Assembly Vice Chairwoman Tong Thi Phong said while receiving Chairwoman of the Mexican Senate’s Foreign Relations Committee Gabriela Cuevas Barron in Hanoi on August 18. Expressing her delight at the fruitful development of bilateral relations in the fields of economy, politics, culture and society, Phong affirmed that Mexico is Vietnam’s leading trade partner in the region. She noted with pleasure mutual support and close cooperation between the two countries at multilateral organisations and thanked the American country for its support to Vietnam in the past struggle for national liberation as well as the current cause of national construction and development. While lauding Senator Barron’s candidacy for the President of the Inter-Parliamentary Union (IPU), Phong believed that with her experience, competence and leadership capacity, she will receive great advocacy from IPU’s member parliaments. For her part, the Mexican Senator said that she has been impressed by Vietnamese people and their achievements in national construction and development during three visits to the Southeast Asian country. This visit would create opportunities for both sides to exchange views on bilateral and multilateral issues, she said, adding that Mexico expects Vietnam will back its candidacy for IPU chairmanship for the 2017-2020 tenure.